1. 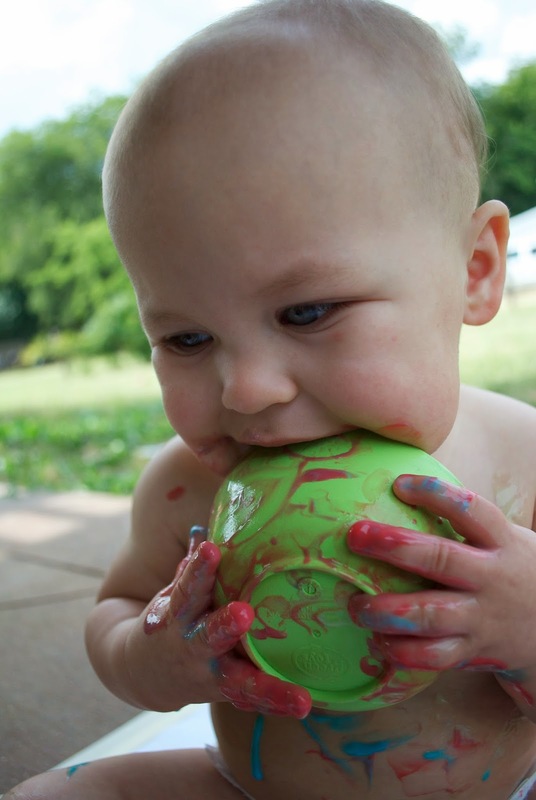 The wetness of the yogurt will quickly make the paper disintegrate, and if you've got a baby with a taste for paper like we do, you're going to have some especially tasty paper on your hands. 2. Don’t leave Dad in charge while you run in to get a towel for when she’s done, because she will immediately move and end up sitting smack dab in the middle of the paint, and he’ll just watch her do it. 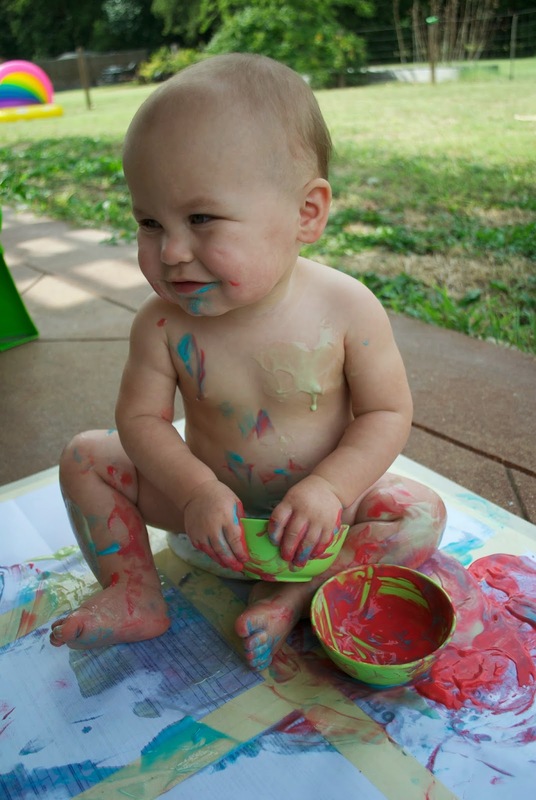 And when you inquire as to why he let her sit in the paint, he’ll say "Because I didn't want to touch her”. Silly, silly Daddy. 3. You really don't even need to bother bring anything outside to clean her up with, because she'll just need to go in the tub when she’s done. *Sidenote* The way she dove right in has me feeling pretty excited about her first cake experience next week... I used to think smash cakes were totally disgusting. 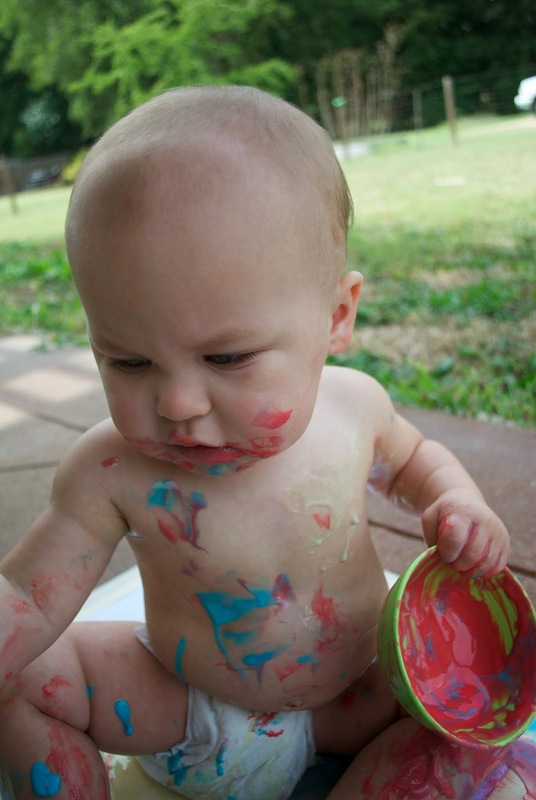 All that oohing and ahhing over a baby making a complete and utter mess out of what was once a perfectly edible cake? It was totally lost on me. But like so many other things, now that it's my own kid, it's gone from disgusting to ah-doooooorable. 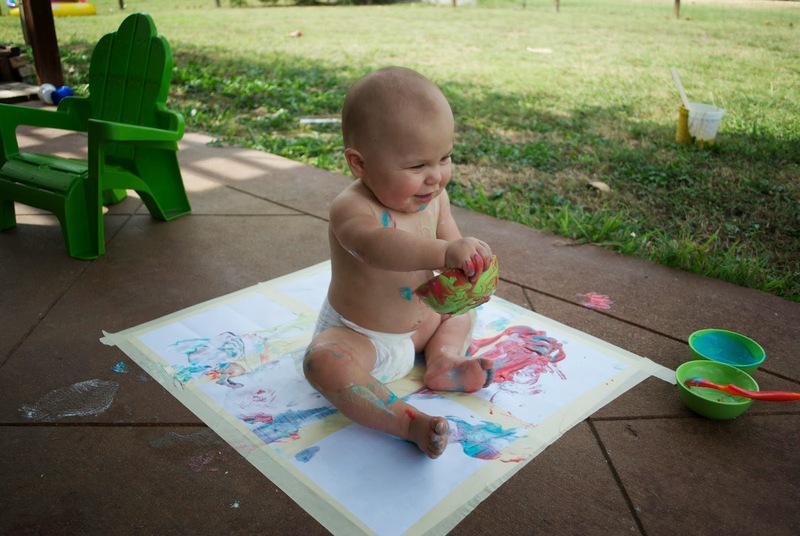 Anyway, here's where I found the idea for yogurt painting, via Pinterest of course. I just mixed a little Kool-Aid powder into the yogurt (it didn't take much to get really vibrant colors). Also, I let it sit out for a little bit so it wouldn't be so cold. Bing-bang-boom, entertained baby. Just like that.